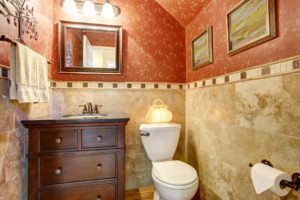 Luxury Small Red Bathroom Interior Design. Who says small has to be simple? 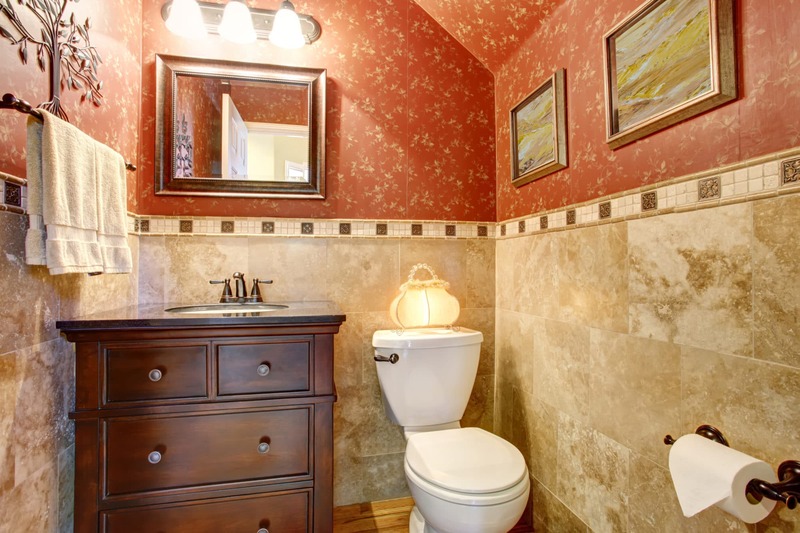 This small powder room with vaulted ceilings includes a beautiful marble tile wall.